PL Gakuen, located in Osaka, won the inter high games (boys) in 1972 for the first time, and has won it 7 times in total. 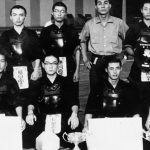 Especially between 1975-1985 it was considered one of the two top kendo schools along with Yatsushiro-Higashi (Kumamoto). 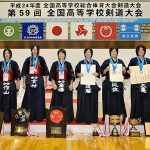 Even for such a strong team, the Kyushu teams proved to be a strong fortress, and it took them a long time to get their hands on the Gyokuryuki. They achieved 3rd place for the first time in 1973, but it was in 1976 when the came closest. After the Gyokuryuki games they won the inter high group matches, and Masahiko Yamamoto won the individuals. They were an incredibly strong team. 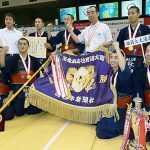 They had the luxury of top players like Akira Hayashi and Yosuke Yamanaka, but they succumbed to Fukuoka Shogyo at the finals, for whom Kiyomichi Hakusui provided an awe-inspiring comeback performance. In 1982, PL had claimed their third inter high group title the previous year, and joined the Gyokuryuki games for the 10th time. Their team mainly consisted of grade 2 players, including taisho Hiroshi Murata, Kenji Ishii (who went on to win the inter high individual this year) and Masahito Iwai (who would win the inter high individuals the following year). The senpo Iwai and jiho Kozo Uemura (1st grade) alone were enough to defeat their opponents one by one. At the quarter-final, they defeated Kumamoto Daiichi, and at the semi-final Miyazaki Chuo at their chuken player Ishii, reaching the final. Their opponent in the final was Ryukoku (Saga) who defeated Yatsushiro Higasho who were considered tournament favorites. Both teams were eyeing their first title. The senpo Ishii drew, but the jiho Uemura won all the way from their jiho to the fukusho with a well refined kote striking move. He managed to drag out Ken Kitahara, their taisho. Kitahara had just defeated Yatsushiro Higashi’s jiho all the way to their taisho, becoming the hero in their great comeback win in the semis. Kitahara managed to defeat Uemura with two kote, but against the chuken Ishii the match reached 1-all. 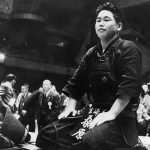 As Kitahara went courageously for the strike, Ishii calmly avoided him and struck the men. Thus, at its 55th edition, the Gyokuryuki flag finally crossed the kanmon straight, from Kyushu to the Honshu Island. As coach Takashi Kawakami took the helm in 1972, many prodigious kenshi aimed to get into PL Gakuen. They set up a boarding school system where they pursued training that was faithful to the basics. 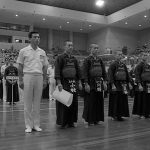 Their style was different from other strong schools, particularly the Kyushu schools, which became stronger through tour matches as they sharpened each other up. 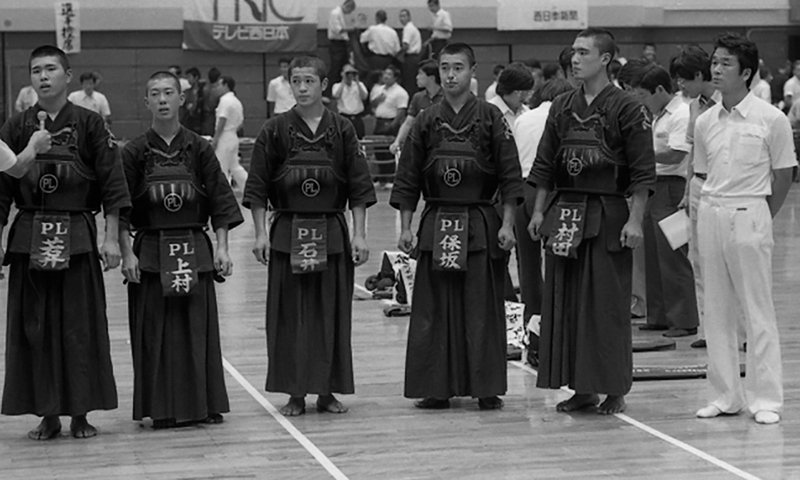 PL created their own distinct status in the world of high school kendo. In 1986 they claimed their second win through great performances from grade 2 taisho Takahiro Nabeyama. In 1997 they assembled a strong team which included taisho Shinsuke Oka, and won the title for the 3rd time, 11 years since their last win. At this point in time, these 3 wins by PL were the only times the title was won by non-Kyushu teams. 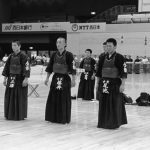 NEXT POST Next post: 3 Methods to Train Your Concentration in Kendo in Just 3 Minutes!